The Microsoft Word Destination, available on our paid plans, allow you to receive your data submissions in MS Word format. Below are the steps to follow if you want to set this destination up for one of your forms. A new page will load, and on it you will see different destinations to send your data. In this example, "E-mail" has been selected. After selecting the destination, choose the "Word .docx" format. If you like, you can add a Description in your "Destination Options" box, this is optional. At this point, you will see "Word .docx Options" beneath the chosen destination. Click "Show Options". This section is where you can add a file name (not required), view the available placeholders (by clicking "Show me placeholders I can use in this file name"), and download a sample template (so you can see how your MS Word form will look, and so you can see the available placeholders). 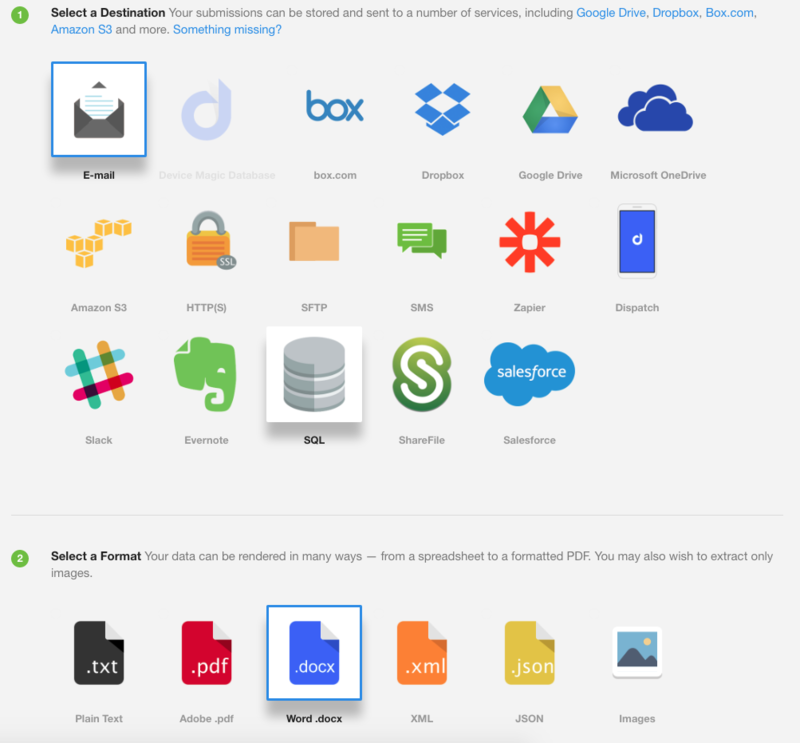 In addition to that, this is where you can upload your own customized Word .DOCX template. 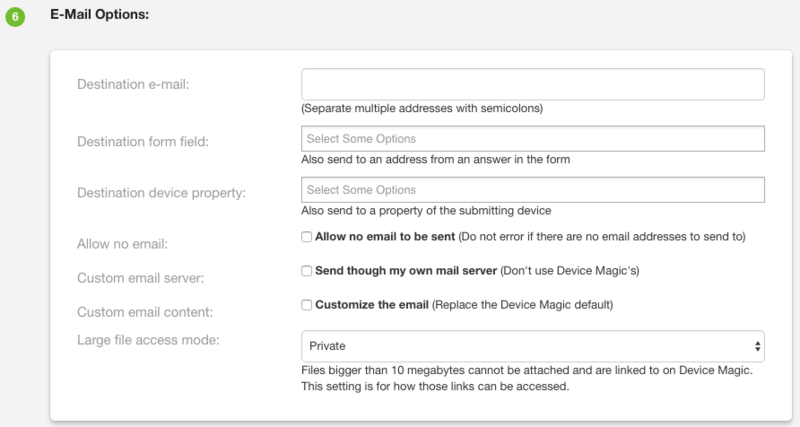 Use the available placeholders for your form, design it according to how you want it to look when you receive it, and upload it in the space provided. 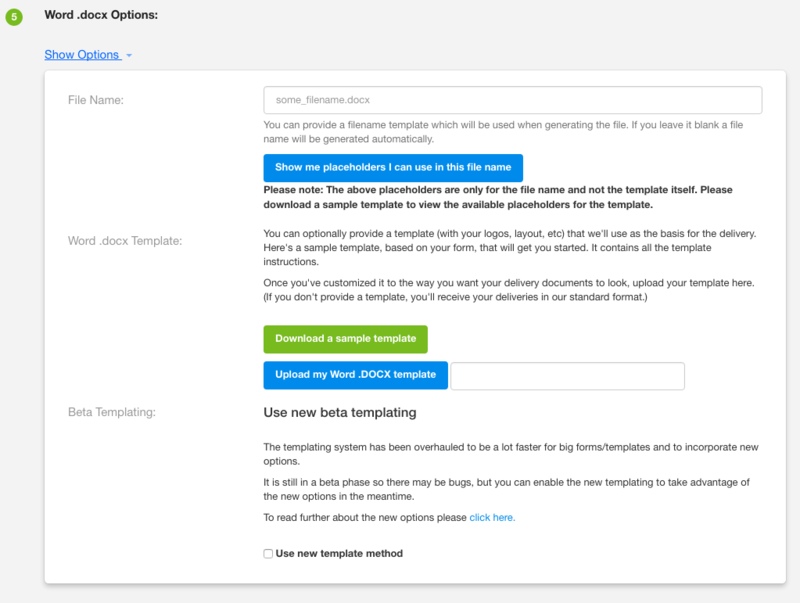 More information on customizing templates can be found here. Fill in the e-mail addresses you want to send the MS Word version of the form to. 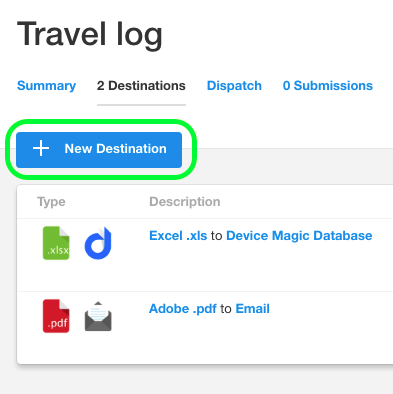 You can now click "Create Destination". At this point, you will be taken back to your Forms page, where you will see your new destination added to the list. Upon submission of data, you will receive the MS Word version of your form at the destination of your choice. This completes our overview of adding the Word destination. If you have any questions or comments feel free to send us a message at support@devicemagic.com or leave us a comment below.